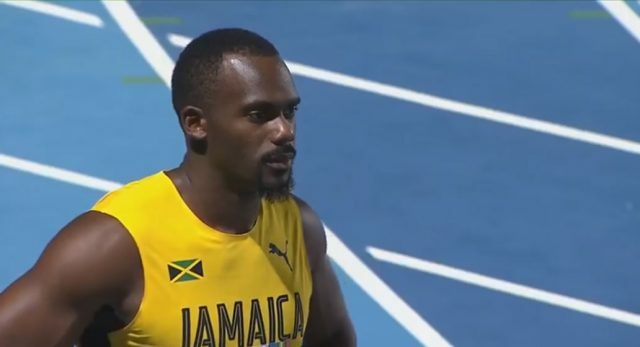 Nesta Carter wins the men’s 100m gold medal at the Central American & Caribbean Games in Colombia. Carter clocked a slightly wind-assisted season best of 10.07 (+1.7) to win Jamaica’s fifth gold medal. The silver went to Jason Rogers of Saint Kitts and Nevis with a time of 10.15 and the bronze of Cehjae Green with a mark of 10.16. The current record remains at 10.00. On Sunday, Carter recorded a wind-aided 9.92 seconds (2.1m/s) to win his semi-final.